Alpha is a course about the basics of Christianity. It was first devised in the late 1970s at Holy Trinity church in Brompton, London, for use among their own congregation. Subsequently its potential for answering the questions of enquirers and new Christians everywhere became evident; and now it is used by the major Christian denominations all over the world. At any time there are around 7000 courses running in UK churches alone. anyone ready and willing to explain the Faith to others but lacking confidence - making it an ideal preparation for our A Challenge to Mission initiative. 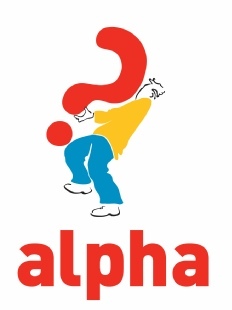 At present we don't have any plans to run an Alpha course. As soon as we do, they will publicised here. If in the meantime you would like to express interest please click here to send an email. You might also be interested in the Pilgrim Course which covers similar ground. More details about Alpha from the official site.